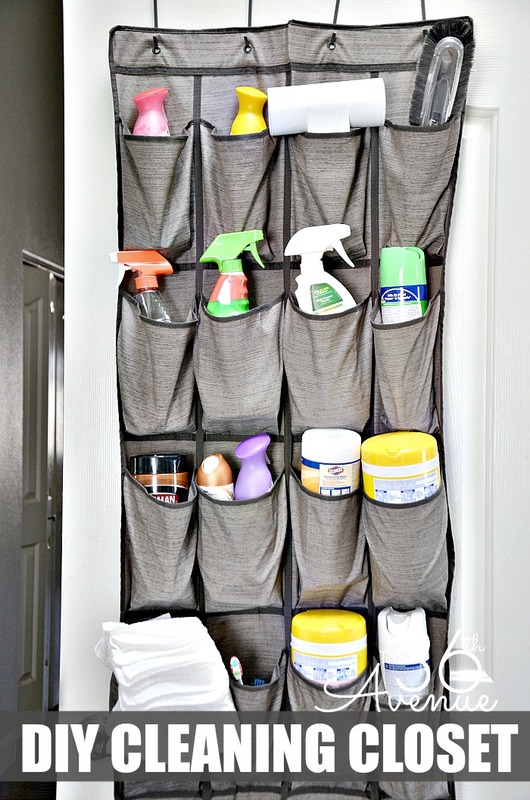 Cleaning Tips and Organization Tips always come handy. 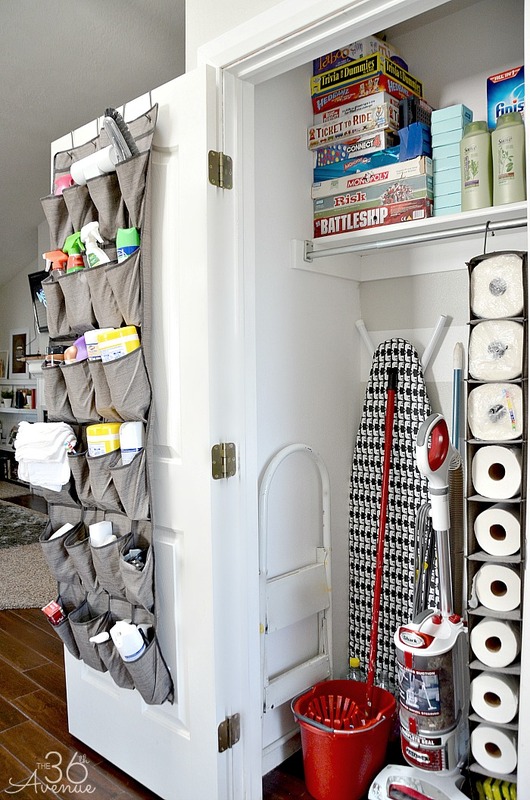 Today I’m sharing our utility closet or what our kiddos call the cleaning closet. I love this space so much! It is super easy to find what we need for our daily chores and when we are done is easy to put away the items we used. Let’s take a closer look! Our house doesn’t have a lot of storage so I decided to turn our entryway closet into the cleaning zone. Even though this is a small space I was able to put inside all the cleaning supplies we need for our home. The first thing I did was purchase a few closet organization gadgets. These are normally for shoes but I used them to store the cleaning products we use most. If you are thinking about doing something like this make sure to put your money in strong ones since you are going to be adding a good amount of weight to them. 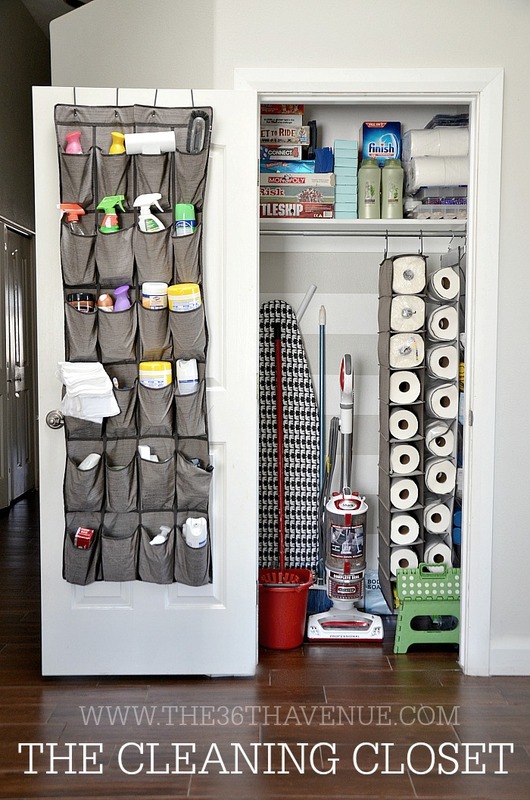 I also used two other shoe holders to store our paper towels and our toilet paper. The skinny one holds a total of ten rolls of paper towels and the other one 18 rolls of toilet paper. 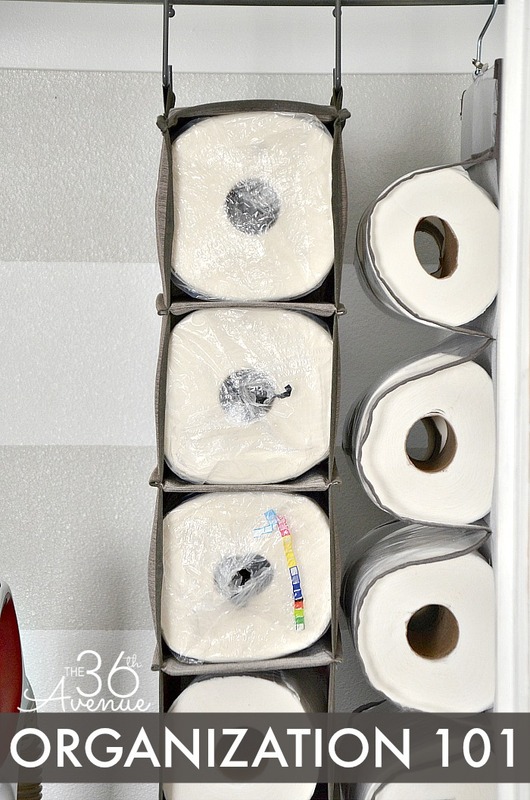 There are pockets on both sides of the “toilet paper holder”, I used the back pockets for bathroom hygiene products like shampoo, toothbrushes, soap, and toothpaste. So easy to restock and it take so little space. You’ll also need a closet hanging bar. If you don’t have one you can find it HERE. As you can see this is not a huge space BUT we have room for cleaning supplies, hygiene supplies, our ironing board, vacuum, mop, broom, and more… So awesome! 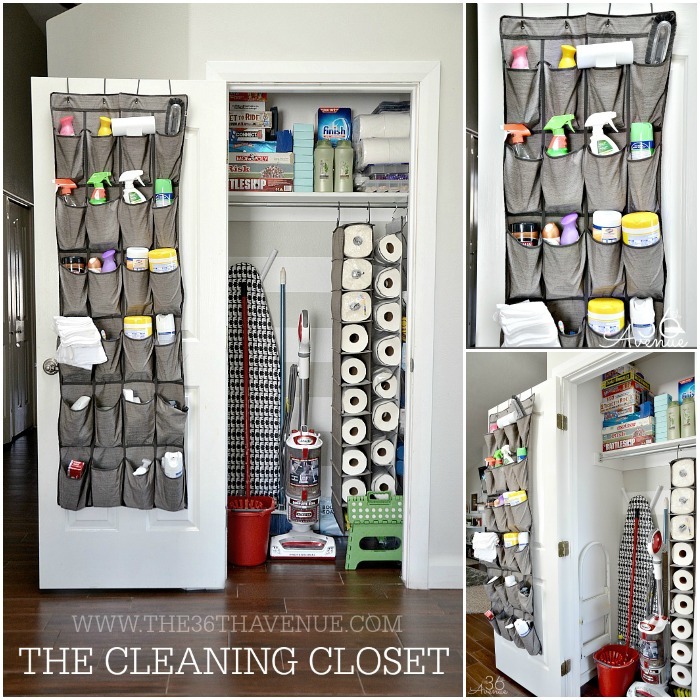 If you like this project let me share with you these other Cleaning Tips and Organization Ideas that I love. This post contain Affiliate Links. All opinions are 100% mine. Your tips are godsend. 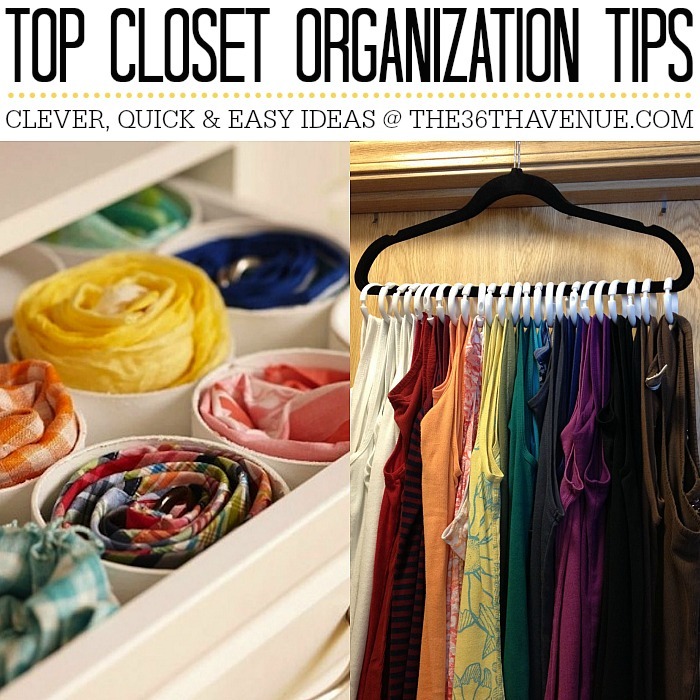 My cleaning closet has never been organized a day in its life, and it always bothered me. Now I know exactly how to start to make it in order. Thank you so much! Yay! Thank you Rebecca for visiting with us today! This is GORGEOUS! I don’t know what it is but I definitely have a thing for a well organized closet and this one just zoomed to the top of my list! Great Job! Pinned and sharing on facebook!